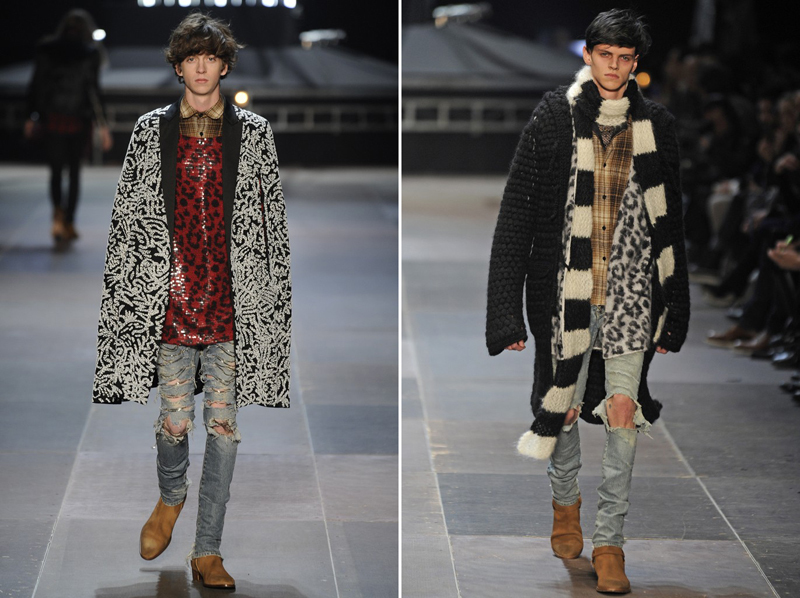 Speaking of androgyny...how about this men's (let's just refer to it as Jayne's) collection from Hedi? Though I've been favoring minimal classic looks when I actually put an effort into what I wear, on the day to day, I still end up sloppy more often than not. The top one is the obvi choice for most, but the last one is definitely my favorite. In my weird OCD particular aesthetic meter, that shade of brown worn with the black jeans, with that shadow plaid, and the dotted white fur coat...TEN. Last fur coat look awesome! Don't forget (what appears to be) the mesh tank top underneath. dont get me wrong i loved dior homme, but i expected him to beyond this after all these years, esp. for "saint laurent."